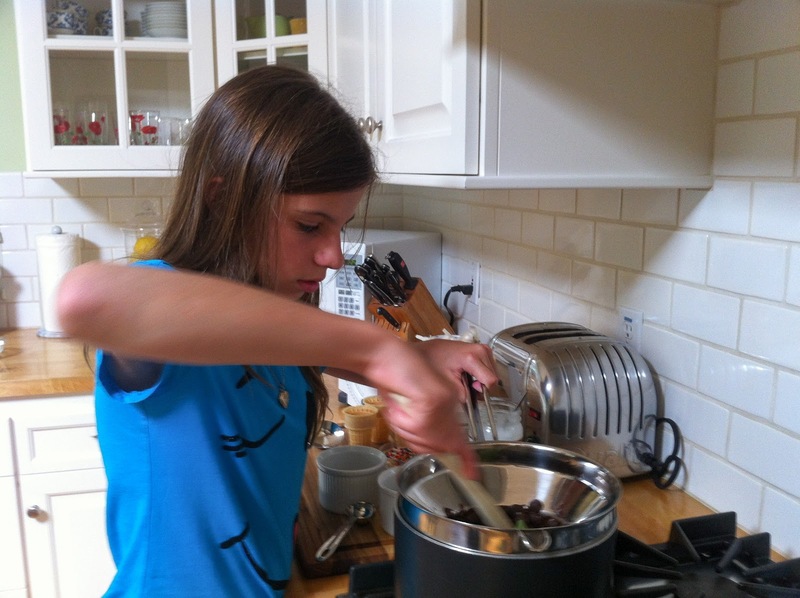 I‘m starting a new series on my blog called, cooking with kids. I have a lot of families that read my blog, therefore a lot of kids. Some of my readers are actually kids, believe it or not. Moms come up to me and tell me their children look at my blog, and then come up to them with dinner and dessert requests. I love that! 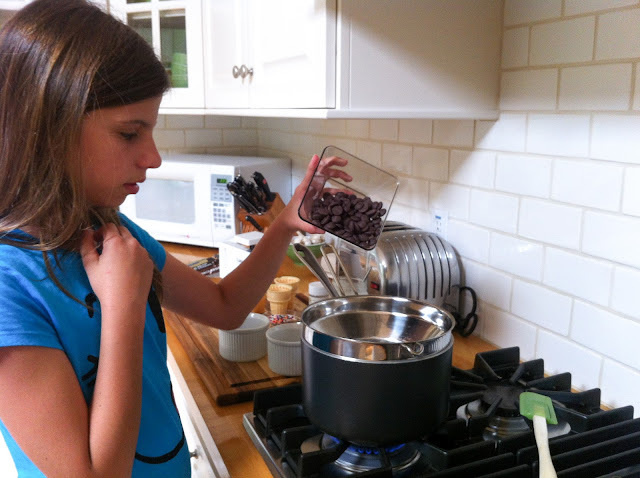 Zoe and I decided that it would be fun to have a kid’s series of posts for this blog, recipes that Zoe loves to make with her friends and by herself. 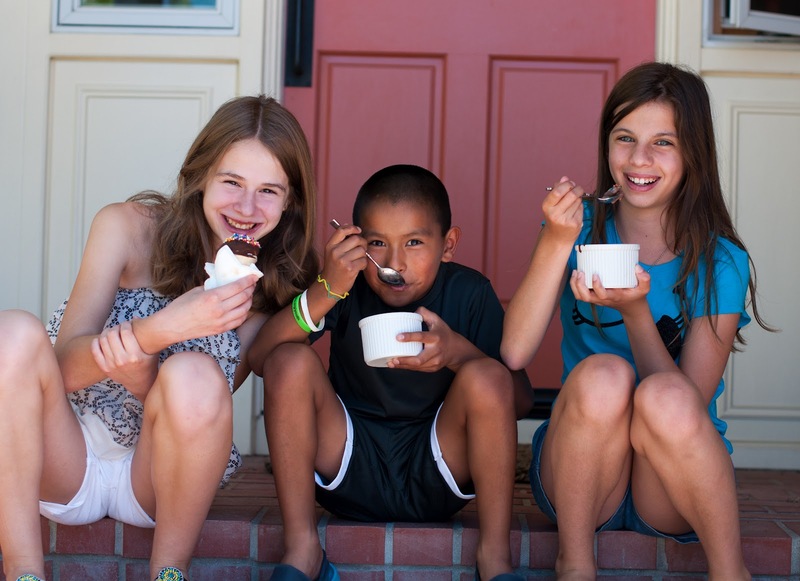 We want to inspire kids to get in the kitchen and cook more. All the recipes are things that any child over a certain age (with adult supervision) can handle. We hope you enjoy this new series. Here’s a super simple, 2 ingredient (yes only 2 ingredients are required) classic summer dessert idea. Remember the chocolate magic shell that you would buy and squeeze over your ice cream, and it would instantly harden? Remember how fascinating that was? Well, I have figured out how to make a homemade version that is a bit healthier than the squeeze bottle variety. 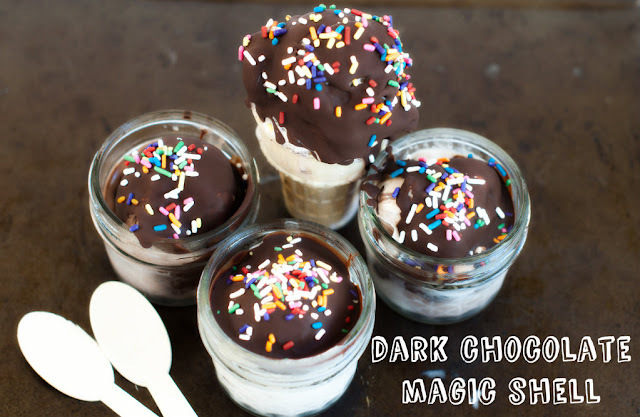 All you need is dark chocolate, coconut oil, oh, and some ice cream to slather it over. Below are some of the ingredients that you will need to make a killer ice cream treat. 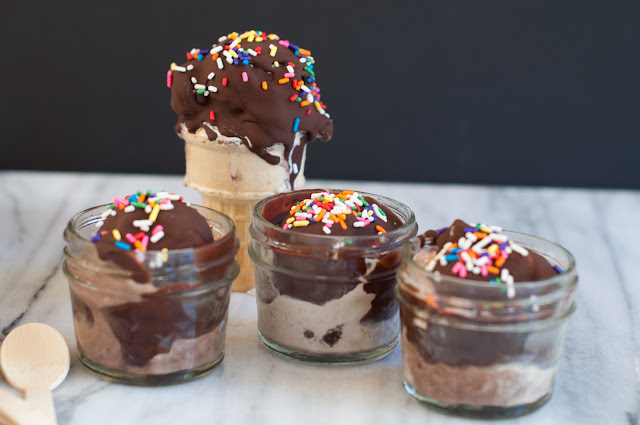 You’ve got your ice cream of course, some cones, sprinkles and the two main ingredients for this recipe; virgin coconut oil and bittersweet chocolate chips. Now that you have all the ingredients, go grab your kids and lets get started. 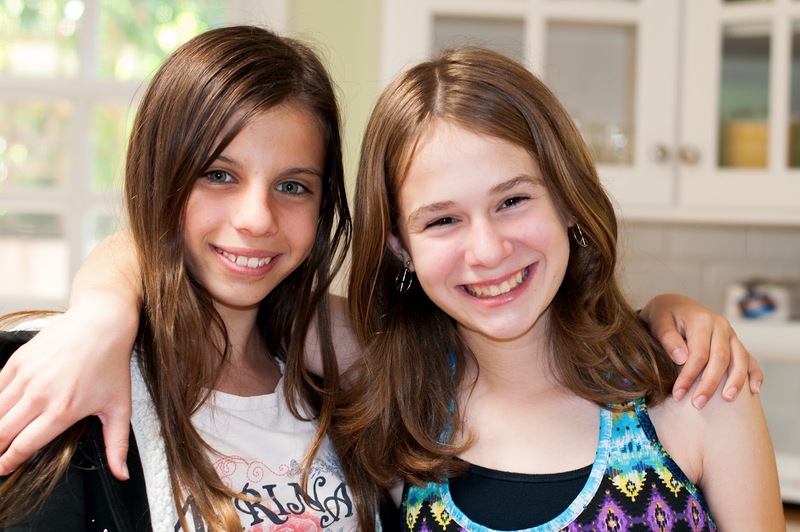 Meet Zoe and her buddy Madelaine. They are today’s chefs. 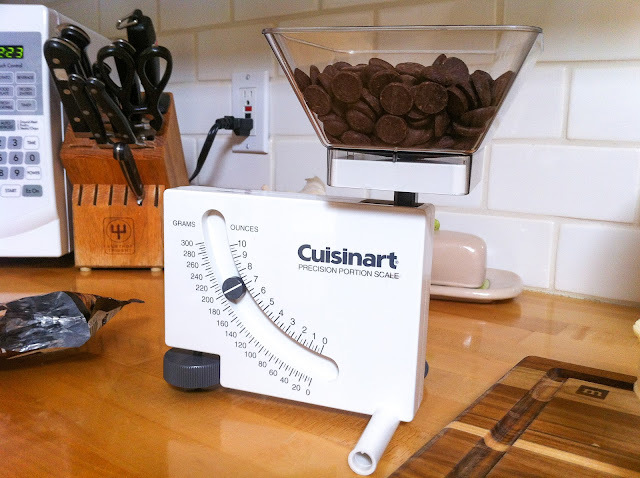 Measure out 7oz of chocolate chips. Pour the chocolate chips into a heatproof bowl set over a pan of simmering water. 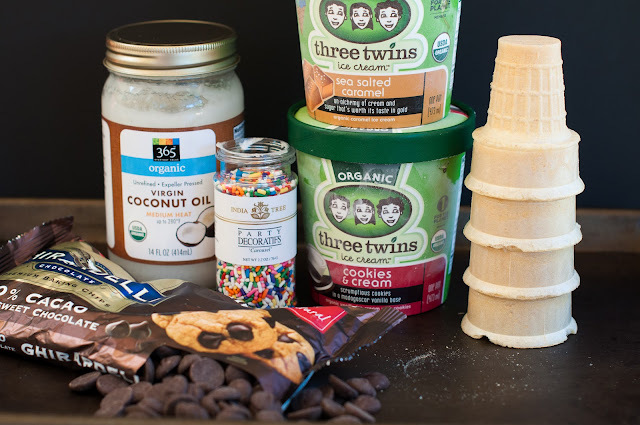 Note: You can also throw the chocolate chips and coconut oil into a microwavable heatproof bowl and microwave them for 30 second intervals, stirring after each interval, until they are melted. 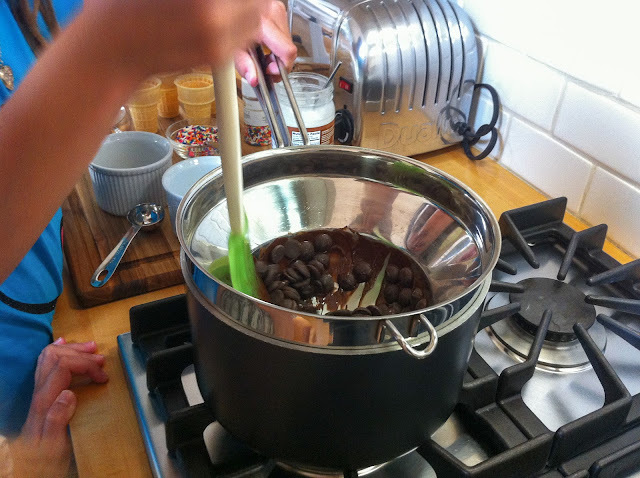 Melt your chocolate chips, stirring frequently with a silicone spatula to prevent burning. 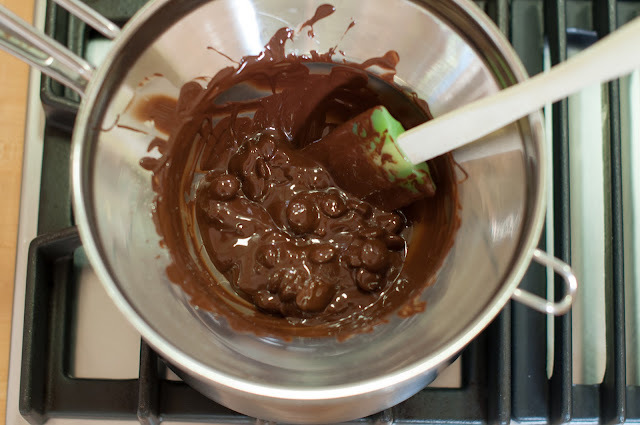 When the chocolate chips are almost melted, add the 2 tablespoons of coconut oil. Stir in the coconut oil until its dissolved. 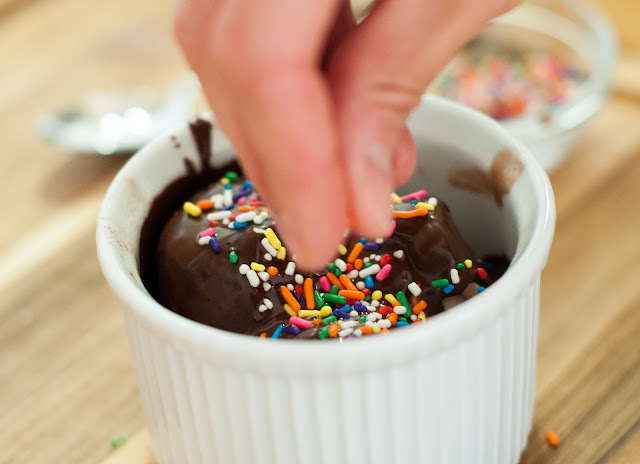 Pour your sprinkles into a small bowl. Now its time for the magic to begin. 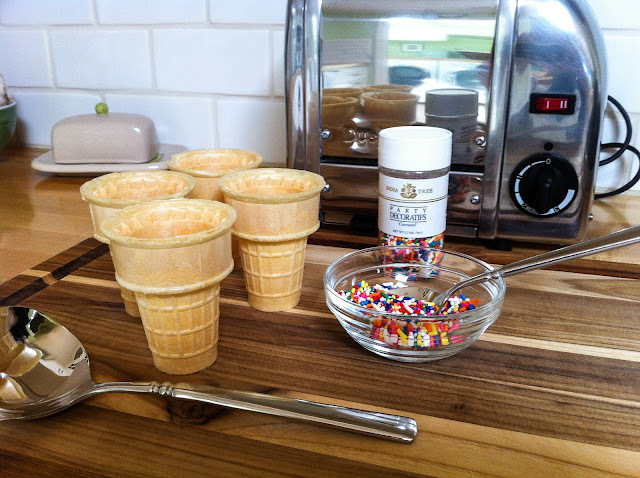 Get out your ice cream and your favorite ice cream scooper, and scoop the ice cream into a bowl or onto a cone. It’s your choice! Zoe will demonstrate how to put the magic shell onto an ice cream cone. 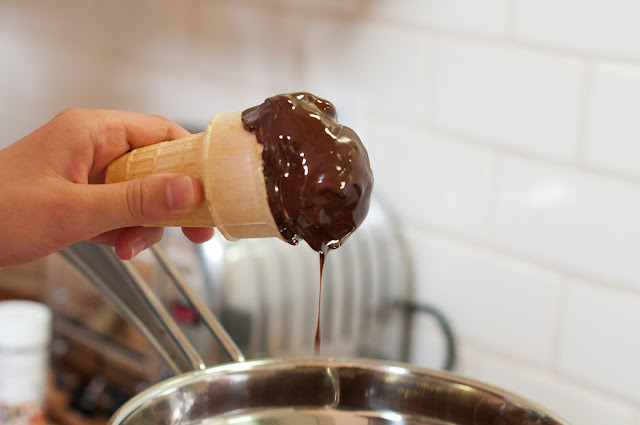 Take the ice cream cone and tip it to its side over the pan. 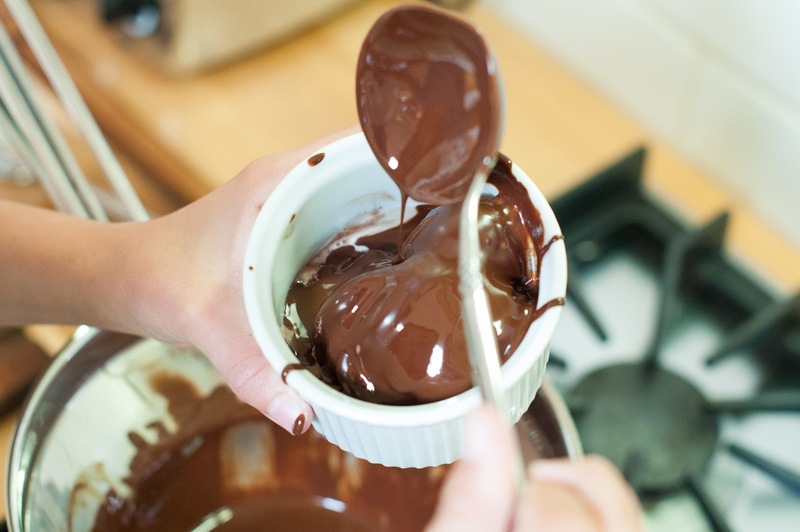 Take a large spoon or small ladle and dip it in the chocolate. 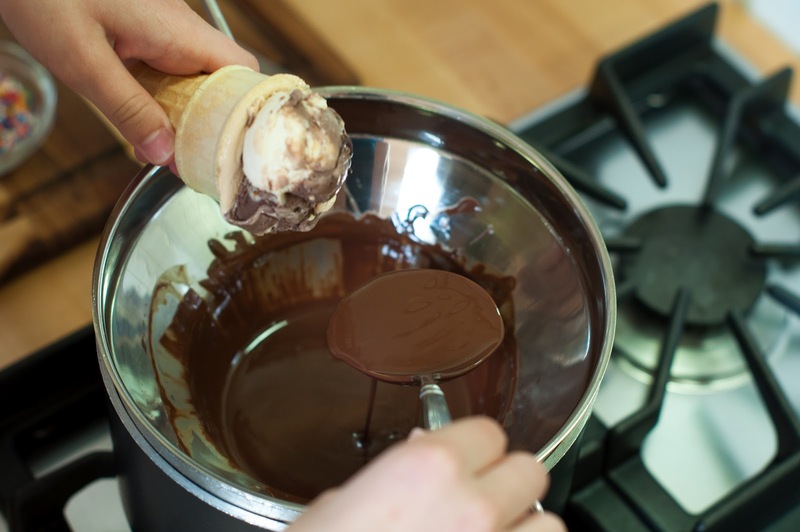 Pour the chocolate over the ice cream and keep turning the ice cream cone until you have covered the whole scoop of ice cream. 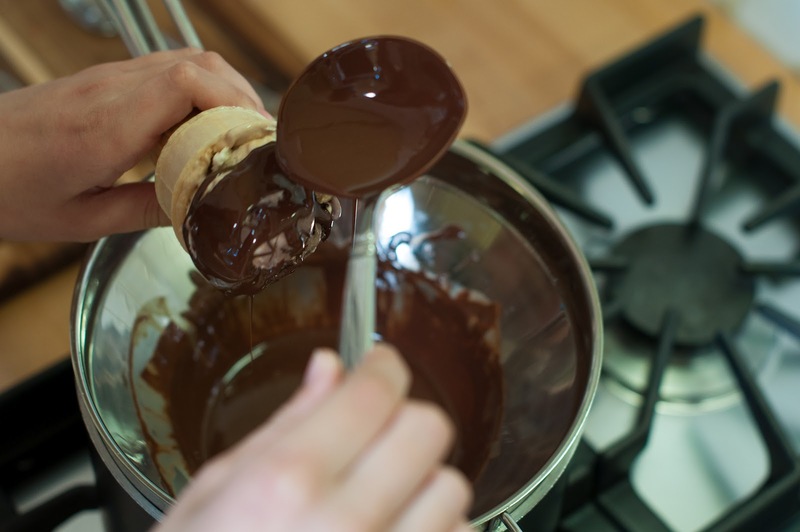 The chocolate will harden into a shell within a few seconds when spooned over ice cream. That is the magical part! 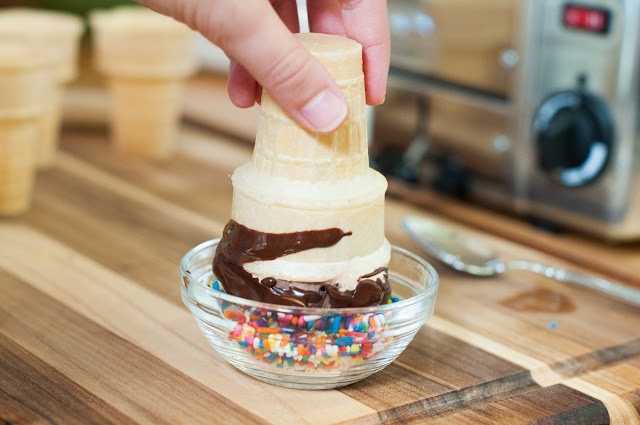 Dip the cone into the sprinkles before the chocolate fully hardens. Madelaine is demonstrating how to pour the magic shell onto a bowl of ice cream. Take your spoon and pour the chocolate sauce over the ice cream. Top it with some sprinkles before it hardens. Be sure to make one for the rest of your family, and then go out and enjoy the fruits of your labor. 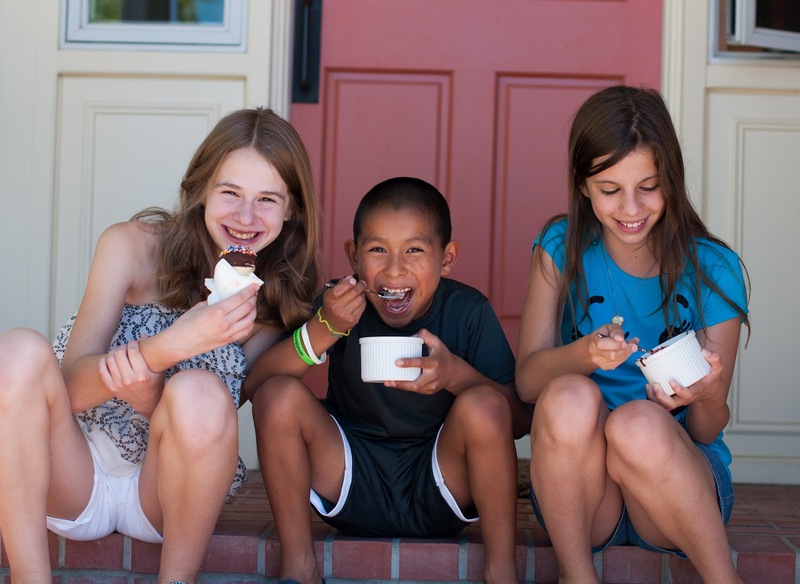 There’s nothing better on a hot summer day than ice cream. This was such a fun way to spend a hot summer afternoon, and the kids were so proud of themselves that they whipped up this treat. 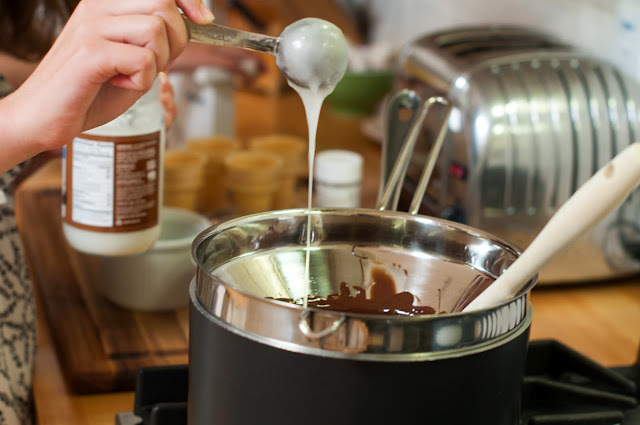 The kids were amazed at how instantly the chocolate sauce hardened. It was a math and science experiment all in one. If you have extra sauce, (and you will if your just serving up the family) just put the leftover sauce into a microwaveable small container with a lid, and refrigerate till needed. All you have to do is microwave it briefly till it melts, (stirring between intervals) and then you can recreate the magic again! My kids start school on the 22nd, so I’m going to take a small blogging vacation, so I can be present with the family and enjoy our last week of summer. I made this tonight for my kiddos, but of course had to partake, too. It was incredible–and so easy! Sure to be in high rotation around here! My kids would go crazy for this!! Love it! And your kitchen looks like it’s beautiful! Hi Carrian! Thanks for stopping by and for the sweet compliments! 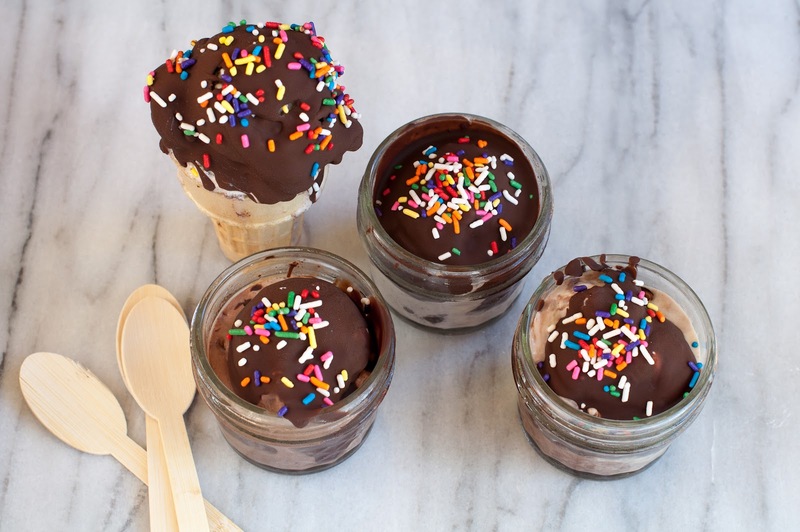 I am not a kid (sigh) but I still LOVE chocolate shells on ice cream! I just found your blog through Tastespotting and I love it. Great pics and I loved the pasta video your daughter filmed, and the chicken tacos recipe, and…. haha great work! Thanks for sharing. So neat- my son would love this and his friends too! Love the pic of girls- they are so beautiful! What fun to do things like this with them! This is great! I love the hardened chocolate shells but not the ingredients in them. This sounds so much better! 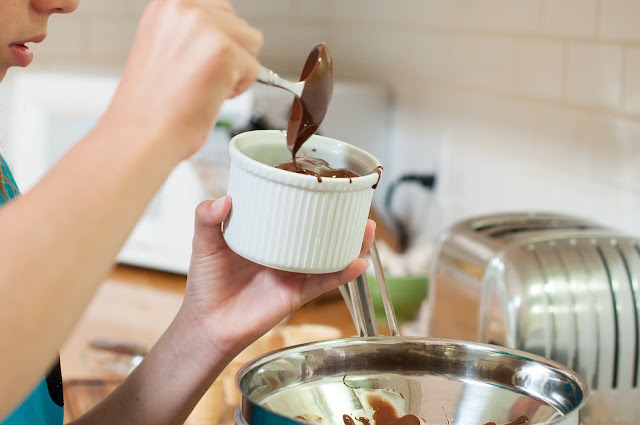 I also love that you are posting kid-friendly recipes (not that I have a child – but I love seeing kids getting involved with cooking/baking early in life). Thanks Danielle! My daughter has suddenly gotten into cooking this summer and I love it. It’s so fun to watch her gain confidence in the kitchen.